Natural elements are not only dedicated to beauty products, the oral care market is also more & more developing products that are nature-oriented. 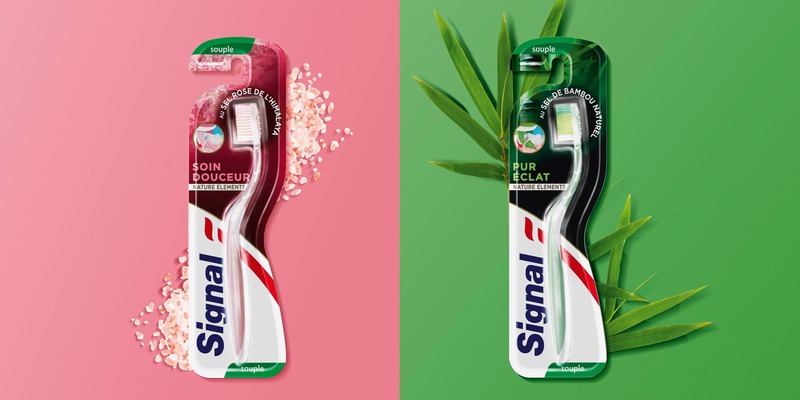 Always doing its best to meet consumers expectations, Signal decided to launch this innovative natural toothbrush range. Inspired by the benefit of natural salt with which toothbrushes are infused, the packaging design reflects the ingredient in a soft & natural way. With a strong focus on the visual of the ingredient, it becomes obvious that these products are infused with nature.